They won't stay little forever, but photographs make time stand still for just a moment. 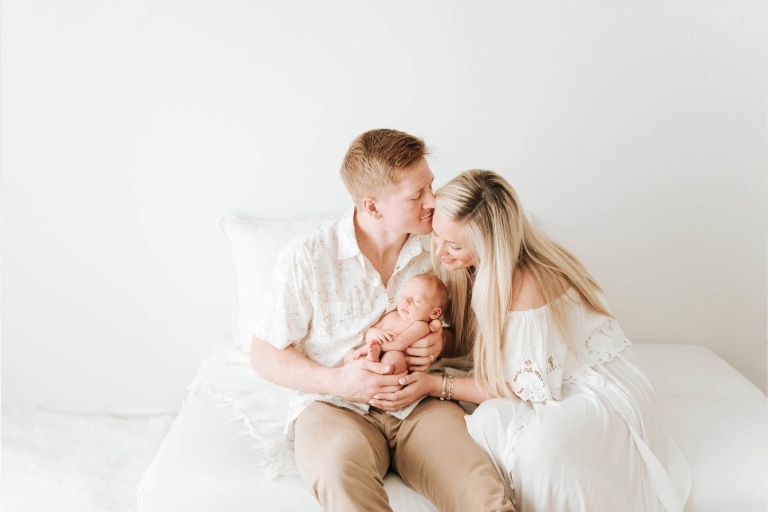 Allison Marie Photography is a boutique photography studio specializing in newborn, family and maternity photography in the Kansas City area. Thank you for stopping by and considering hiring me as your photographer! I delight in personally connecting with my clients in order to create meaningful, joy-filled photographs that bring them back to exactly what that particular season of life felt like. My work is inspired by light, minimalism, and authentic moments of interaction that unfold in front of my camera. As a mama of three, I know firsthand how parenthood is absolutely the most challenging and yet also the most rewarding work of our lives. Our children change right in front of us before we even have a chance to realize it, and suddenly they are not as little as we imagine them to be. This is why I am so passionate about photographing families; to preserve these moments in time as they fly past so quickly, and to celebrate with you the beautiful gift of life and family. That first week after your baby is born is a beautiful whirlwind. You're getting to know this brand new child and endlessly studying those perfect baby features, in utter amazement of life. That is what I love to capture during my Natural Newborn sessions - you adoring your brand new baby! 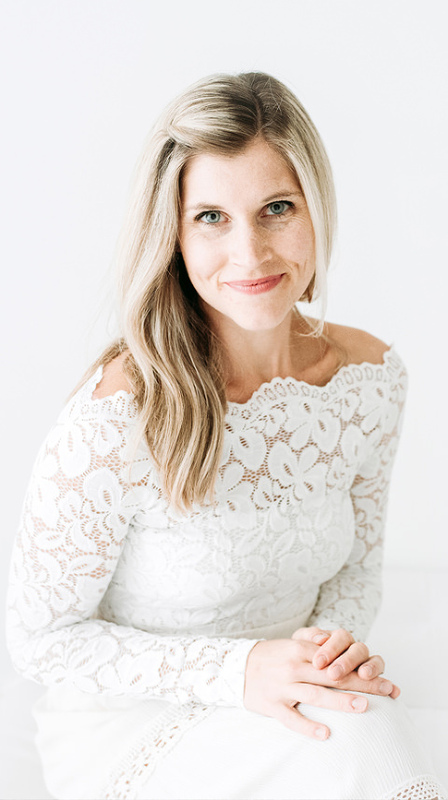 My whitespace studio is perfect for casting all the attention on your connection with your baby, and the beauty of your baby's perfect form and features. My hope is that you leave my studio feeling beautiful, pampered and relaxed after your session! Keep scrolling for more info on newborn sessions! My Kansas City Newborn sessions take place when the baby is 5-12 days old and have a session fee of $300 (see detailed investment info here). This includes a style consultation, access to my Client Wardrobe, the creative session, and a design & ordering appointment 2 weeks after the session when I guide you through the best fine art products and digital files for you to display in your home. 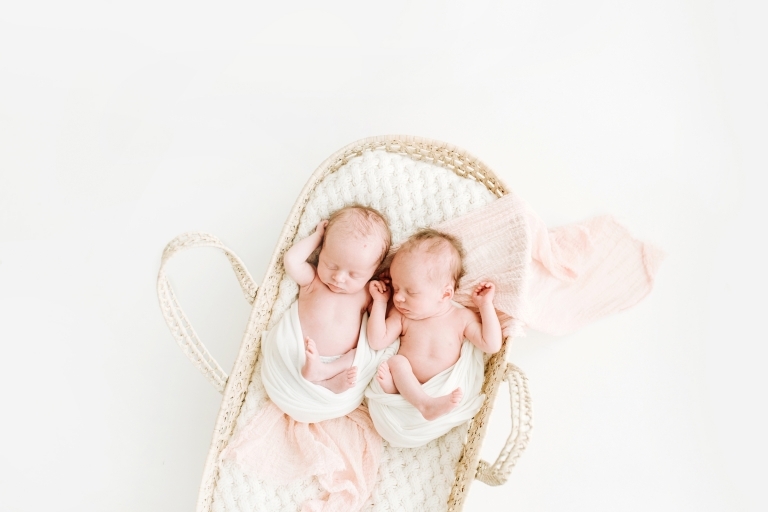 Click HERE to view my full Natural Newborn gallery, and HERE to view my Lifestyle Newborn gallery. My Collective Memberships are perfect for capturing your baby's first year: 3 sessions for the price of just two! 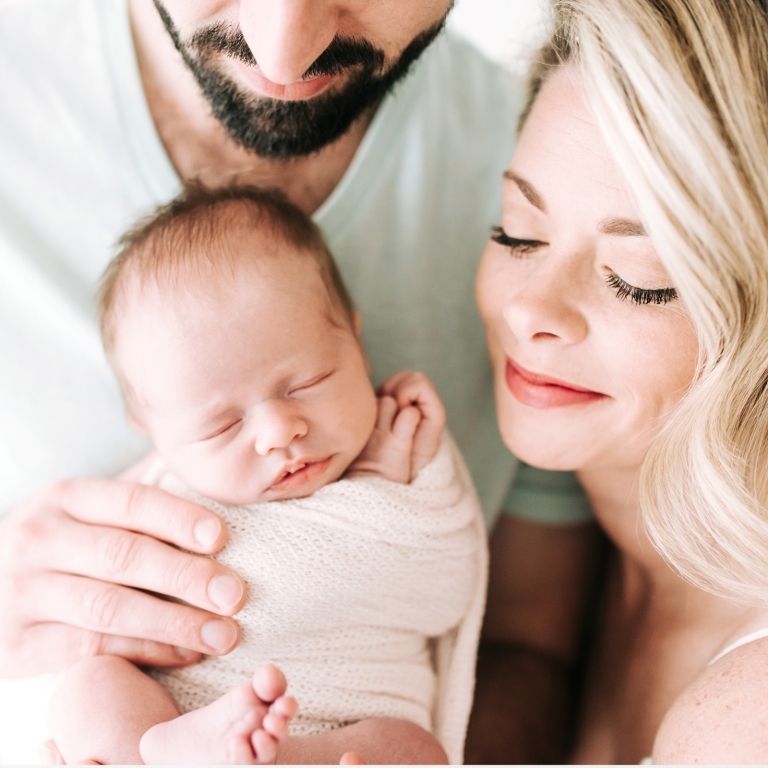 Now booking Kansas City newborn, family and maternity sessions in 2019! 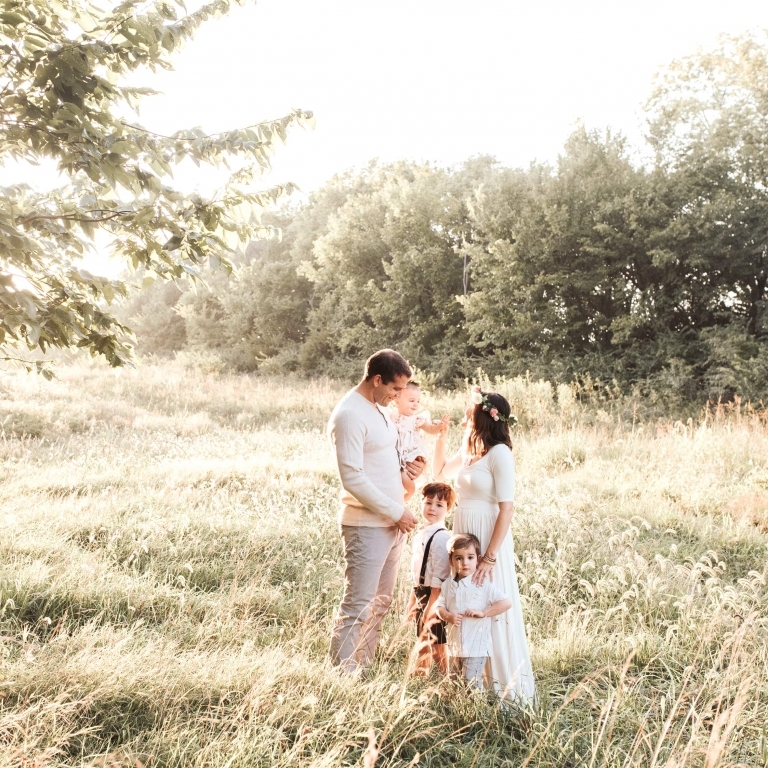 I'd love to chat with you about the vision you have for family portraits. Contact me for investment information and availability. The studio is open for sessions and appointments Mondays and Thursdays from 10am-2pm.